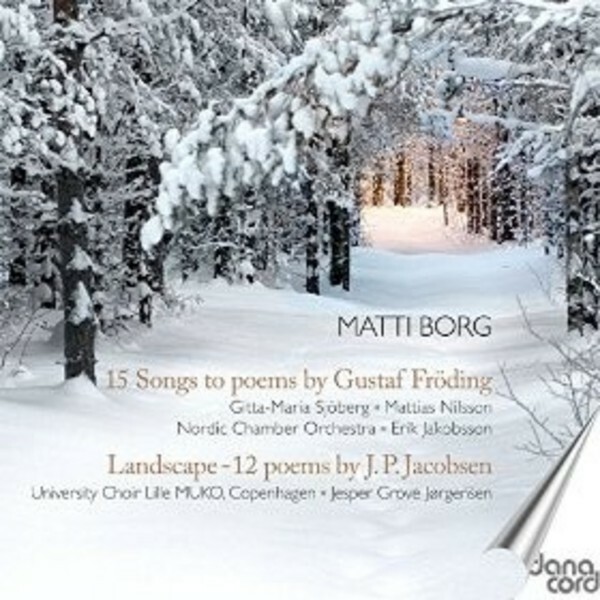 A beautiful collection of songs by the Danish composer Matti Borg, son of the great singer Kim Borg. Matti is a very skilled composer and has a voice of his own. Music can resemble the style of the Late Romantic era, but the harmonies are unique. The songs, all recorded for the first time, are sung by the wife of Matti, soprano Gitta-Maria Sjöberg. The booklet includes full texts. Not to be missed for lovers of contemporary Scandinavian songs.